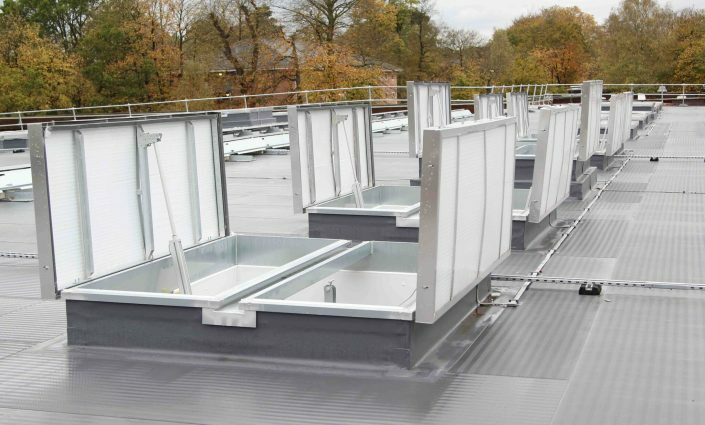 Double Leaf Smoke Vents are great for use as roof smoke vents and are typically used across large roof areas on industrial or commercial properties helping to disperse smoke above areas such as factories, warehouses and workshops. Double leaf smoke vents clear vast quantities of smoke quickly with integral 24v actuators. 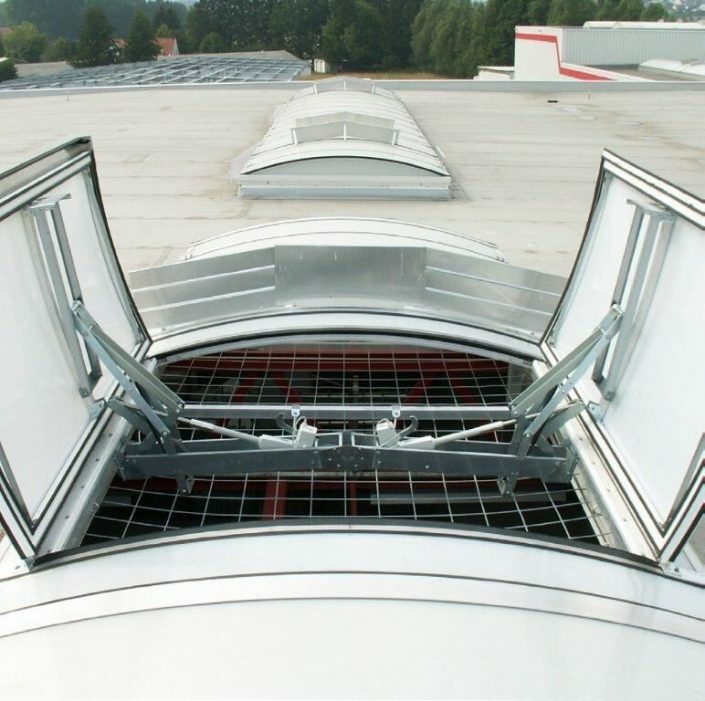 Each AOV leaf smoke vent opens to approximately 90 degrees in less than 60 seconds to efficiently and rapidly vent smoke from the building below. 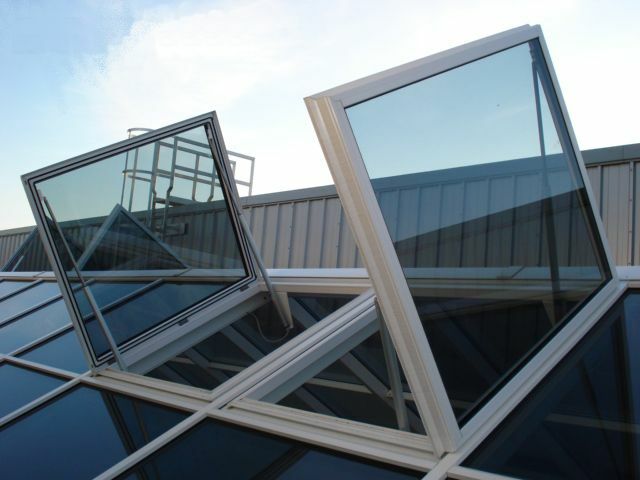 Various multi wall polycarbonate glazing options are available with clear, opal, diffused finish or solid insulated lids. No matter what smoke vent you require, whether it be a smoke vent window, a stairwell or a corridoor smoke vent, our product line can meet your building vent location requirements we are able to offer fully CE compliant smoke vent products to meet and exceed EN 12101-2 regulations along with other safety features, such as fall arrest grids to prevent falls from height when the units are in the open position. For noisy environments units can be manufactured with a sound reduction option with acoustic insulation to 44dB Rw. We are one of the UK’s largest suppliers of smoke vent brands, and are sure to provide you with a solution to suit any requirement. Please feel free to give our technical sales team a call to discuss your purchase with them, or see our brands below for more specific information on the types of smoke vent we offer. Designed specifically for industrial buildings, its integral 24V actuator automatically opens the double leaf to 90° in under 60 seconds for rapid smoke and heat release in stairwells, corridors and factory areas. Designed specifically for industrial buildings, its integral 24V actuator automatically opens the double leaf to 90° in under 60 seconds for rapid smoke and heat release in stairwells, corridors and factory areas. The Jet Cox FireJet 165 24V/48V Range provides a smoke and heat exhaust ventilation system for all Commercial and Residential applications. Upstands can be specified either 300mm Splayed PVC-u or 300mm/400mm/500mm Splayed Metal. 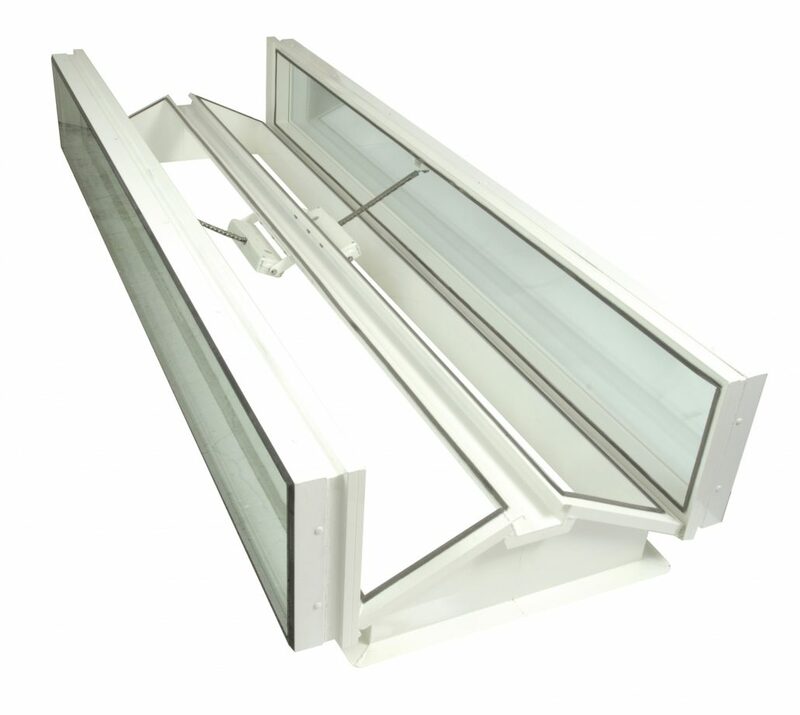 A double-glazed glass smoke vent unit, available in both standard and bespoke sizes for those who prefer the benefits of glass instead of polycarbonate or a solid metal lid. 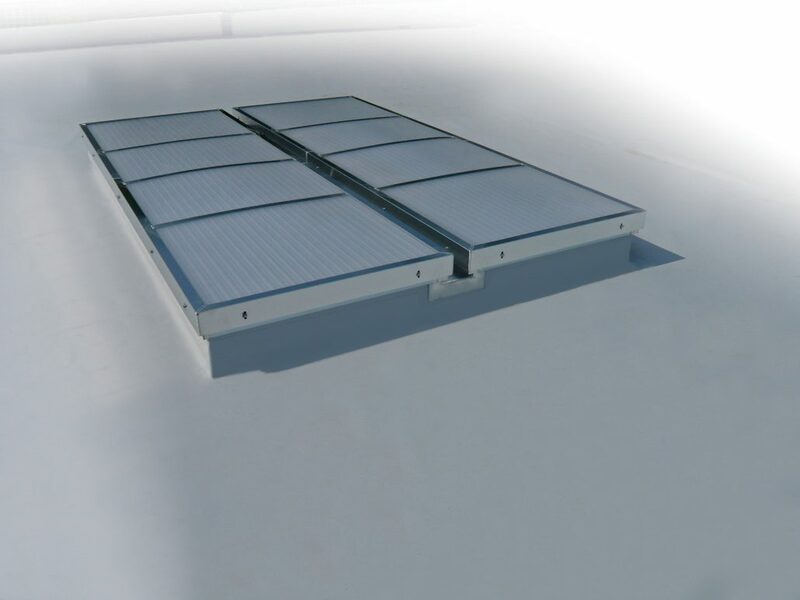 These units can be integrated with new or existing smoke control systems. 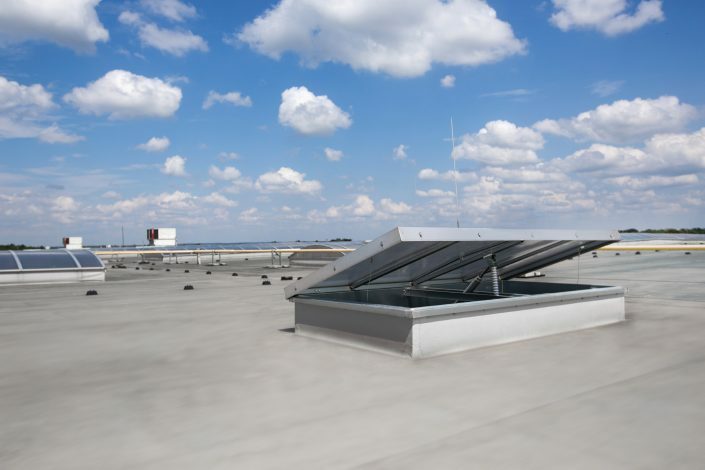 A high-performance, high-quality, flush glazed glass AOV smoke vent available in standard, monopitch and ridgelight configurations. Opening to 90 degrees in under 60 seconds for rapid smoke clearance. Available in wide range of widths and lengths to suit any application. The Lunaglaze glass AOV smoke vents are perfect for larger applications where an aesthetically pleasing unit may be desired. 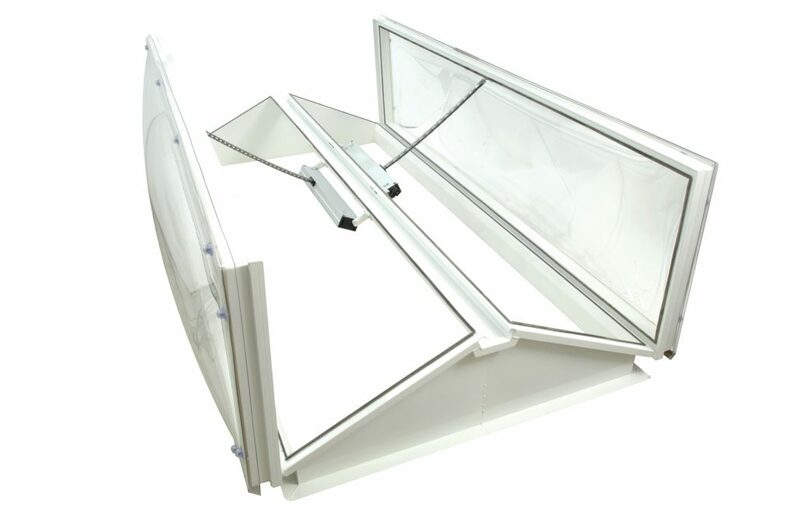 Perfect for space-restricted projects where a bespoke size/configuration is required. 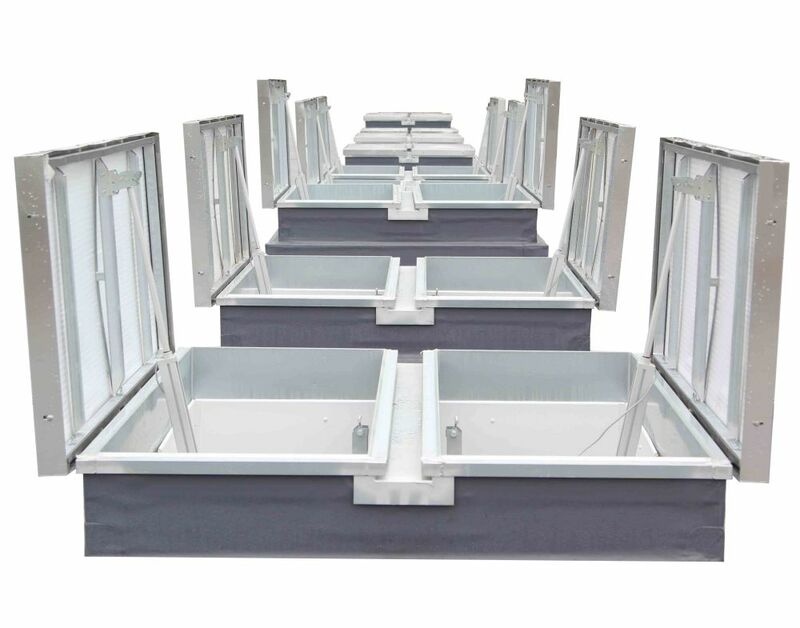 Excellent quality yet cost effective, with a matching range of standard modular rooflights also available for exterior continuity.